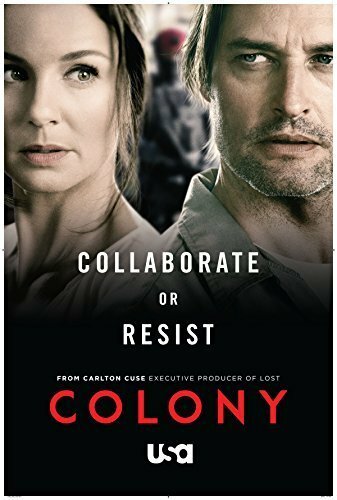 HispaShare.com - Serie "Colony (1ª Temporada)"
Director: Carlton Cuse (Creator), Ryan Condal (Creator), Juan José Campanella, Tim Southam, Nelson McCormick, Roxann Dawson, Scott Peters, Charlotte Brändström, Peter Leto, Thomas Carter, Olatunde Osunsanmi, Jeremy Webb. Josh Holloway, Sarah Wayne Callies, Jacob Vargas, Aedin Mincks, Charles Baker, Tristen Bankston, Tom Beyer, Hilty Bowen, Johnny Cannizzaro, Isabella Crovetti-Cramp, Jess Varley, Cooper J. Friedman, Ally Walker, Amanda Righetti, Kim Rhodes, Trevor Lee Georgeson, Peter Jacobson, Alex Neustaedter, Carl Weathers, Tory Kittles, Jacob Buster, Kathleen Rose Perkins, Erin Way, Christian Clemenson, Adrian Pasdar, Paul Guilfoyle, Bethany Joy Lenz, Charlie Bewley, Toby Huss, Mac Brandt, Gonzalo Menendez, Max Arciniega, Adam Busch, Jessica Parker Kennedy, Laura Innes, Felix Solis, Tony Plana, Victor Rasuk, Tino Struckmann, Kathy Baker, Keiko Agena, Libe Barer, Kwesi Boakye, Meta Golding, Kathryn Morris, William Russ, Thora Birch, Casey Sander. La primera temporada es "flojilla", solo se anima en los capitulos finales. Si pudiera le daria un 6,5. Vistas las 3 temporadas, subiria la nota hasta el 7. La serie fué cancelada en la 3ª temporada (alguno de los capitulos, es un "tocho"), precisamente cuando se ponia mas interesante. No es que tenga un final abierto, es que no tiene final. Si tienes algo mejor que ver/hacer, pasa de esta serie.